오뉴월 감기는 개도 안 거린다. Literal meaning: Even a dog doesn’t catch a cold in the summer. What it is really trying to say: 여름에 감기 앓는 사람은 못난 사람이라고 조롱하는 말. Used to ridicule / sneer at a foolish person who caught a cold during summer. Lee Seung-gi! 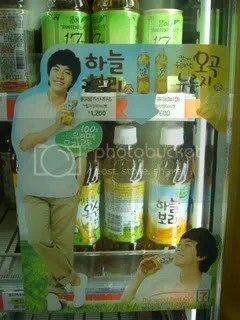 And Seung-gi’s product endorsements were EVERYWHERE. In Korea, celebrity endorsements are a huge deal as it represents and reflects their celebrity status. Therefore the more you see them, the more popular, well-known and/or well-liked they are. It also means that they are richer, as these CFs (Commerical Films, meaning advertisements) make up the lion’s share of their income. Korean celebs don’t earn much acting in dramas / films or having albums but are necessary for companies to knock on their door for CF offers. 친구들이랑 이 경기를 보고 있었을 때 어떤 한국 남자가 아주 열정적인 좋다고 계속 했는데 말했을 때마다 항상 축구 상황이 좋지 않은 적으로 변하게 됐어요. 정말 저주이었어요, 저주! 좋다고 말하지 않았더라면 이길 수 있었을 테데요. ㅎㅎㅎ. 근데 준준결승에 진출해서 축하해요, 우루과이. My friends and I were watching the match, and there was this passionate and incredibly vocal guy sitting near us that would say (shout, actually) “Good! 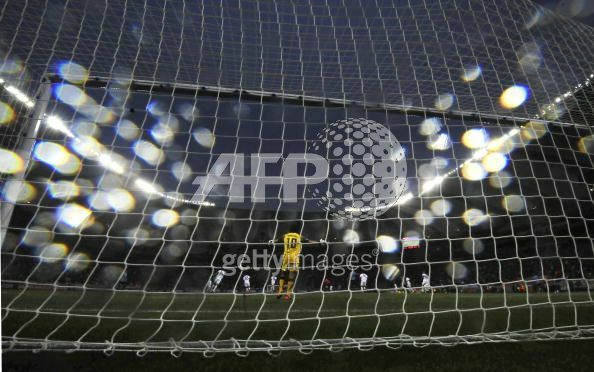 Good!” everytime the ball is in the South Korean’s court (hands, legs, whatever, you get it), but the moment he does that, the soccer situation turns dire. Everytime. It’s a curse. I tell you, it’s a curse. 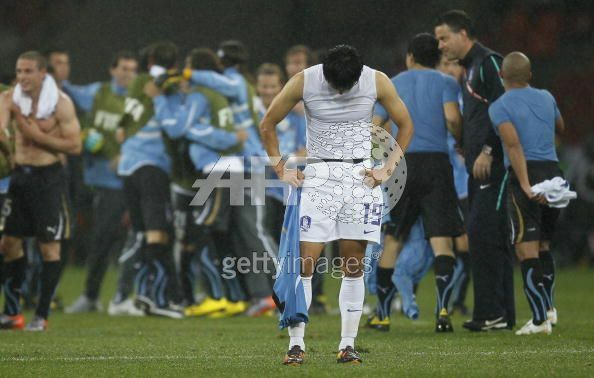 But congratulations to Uruguay who made it to the quarter-finals. 한국 사람과 태극전사 응원자치고 슬프지 않은 사람이 없지만 우리보다 한국 대표팀은 더 속상한가 봐요. 선수들을 많이 많이 수고하셨고 2014 월드컵 때까지 열심히 연습하면서 국제적인 경험을 얻고 더 자신하게 용기 있게 축구했으면 좋겠어요! Sigh. I think that’s all the sound I’m capable of making right now. SIGH. Koreans worldwide and supporters are sad but I’m sure the South Korean team is feeling much worse than anyone. But you guys did the best you could! Till the 2014 World Cup, I hope you gain more international exposure, play with more confidence and have the balls (sorry, can’t help it!) to take risks. 그리고 지나가는 것은 훗날 소중하게 되리니. Don’t be sad or mad at it! Trust — fair day will come, why grieve you? 구더기 무서워 장 못 담그랴. Literal meaning: If you’re afraid of a maggot, you will not be able to make soy sauce. What it is really trying to say: If one is scared of making mistakes, one will not accomplish anything.